Nashua New Hampshire model 1832 Foot Artillery Sword. 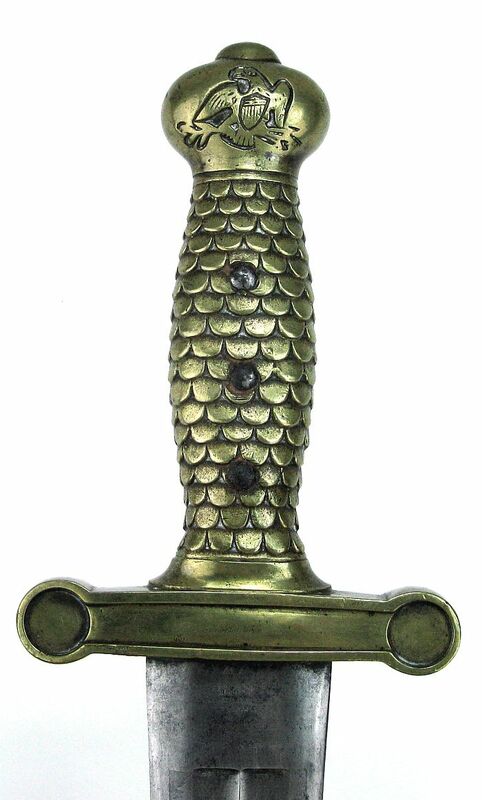 Rare sword with original, all brass scabbard. The Nashua Artillery was a militia unit who purchased swords from Ames under the Militia Act. 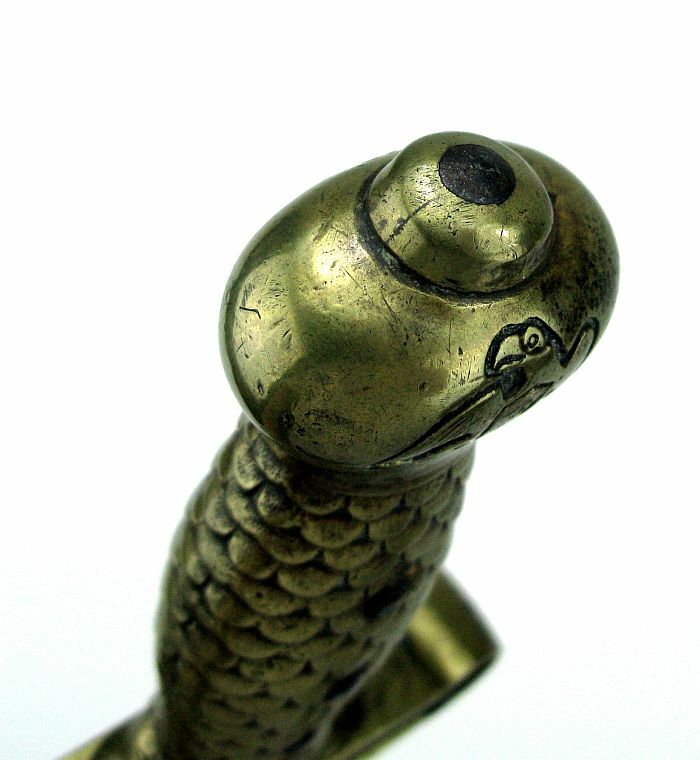 Standard 1832 Artillery Sword with brass hilt. 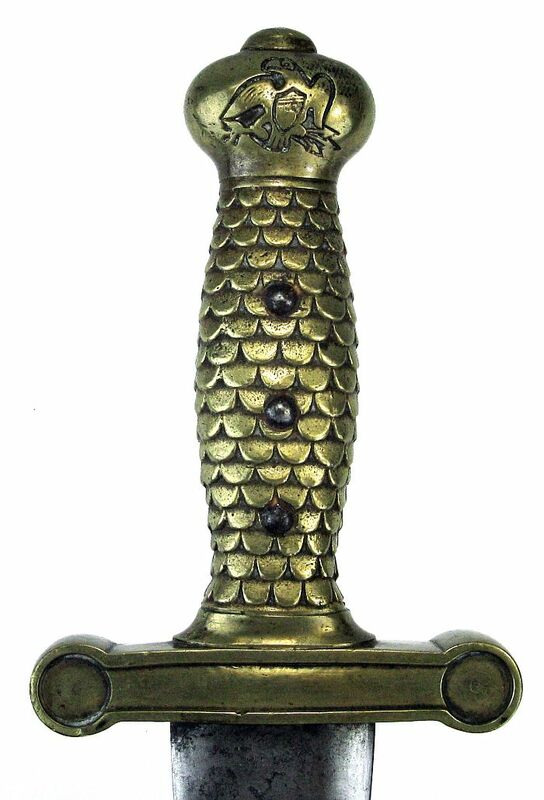 Standard cast feathers and eagle on both sides of pommel. 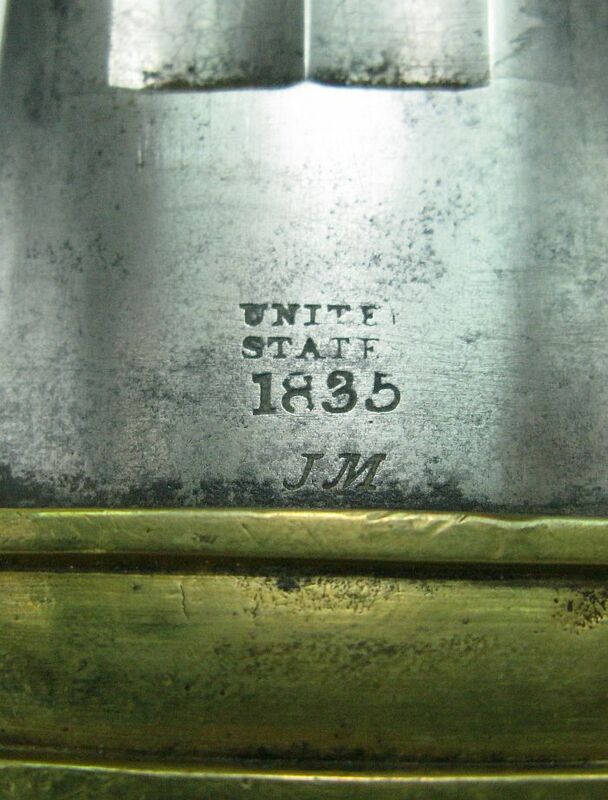 Inspected 1836 and JM, (Justin Murphy), on obverse ricasso. On the underside of the guard it is inspected TW. Tecumseh / Stand of arms with 13 stars above / followed by rays and then a flame pattern. Reverse blade is N.P. Ames Springfield / urn with foliate / Nashua Artillery in a wreath / US Eagle w/EPU banner and 13 stars above / rays and flame pattern. 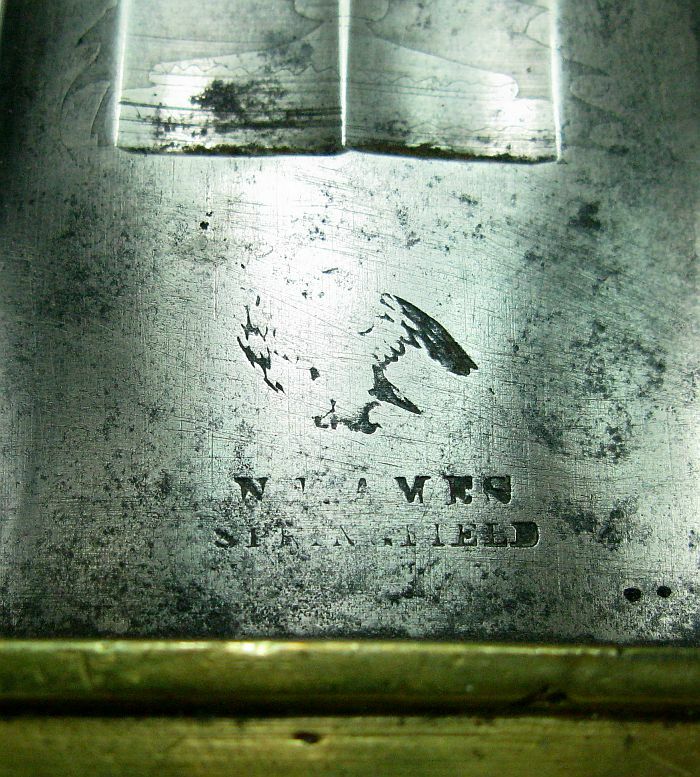 This etch pattern is 13.5 inches on the blade. 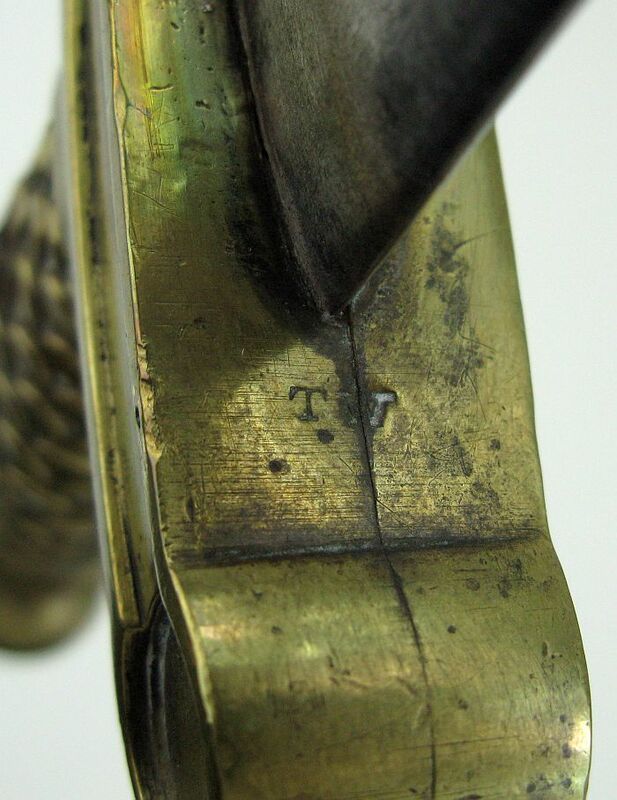 Brass scabbard is in great shape with minimal dings and has evidence of carry in the rings. A rare Militia sword from the mid 1830's.